1. What is white in Spanish? 2. What is black in Spanish? 3. What is orange in Spanish? 4. What is blue in Spanish? 5. What is yellow in Spanish? 6. What is pink in Spanish? 8. What is red in Spanish? 9. What is silver in Spanish? 12. What is green in Spanish? 13. What is turquoise in Spanish? 15. 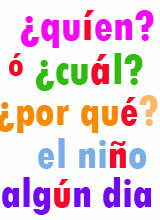 What is the word for colors in Spanish?